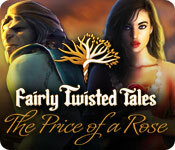 Fairly Twisted Tales: The Price Of A Rose is rated 4.0 out of 5 by 134. Rated 5 out of 5 by iamnobodyhahaha from Hmm this is not a bad game :P I was not sure whether to try this game or not by looking at the mixed reviews. Glad that i did play this game! Very well done with the story (THE CLASSIC FAIRY TALE IS ACTUALLY TWISTED HERE ;) ). visual effects are pretty and there are pretty scenes. I totally love the barons' estate as well as the beasts' garden. the town looked great as well. Overall a very good game. The only drawback is that the map doesn't let you travel. You have to visit each scenes many times to complete the game. Rated 5 out of 5 by jackmyboy from Beauty & The Beast So this is another one of them fairytale games.....only better! You must buy this game! The visuals on it are amazing and the storyline has been reinvented in such a way that you are drawn into it instantly! 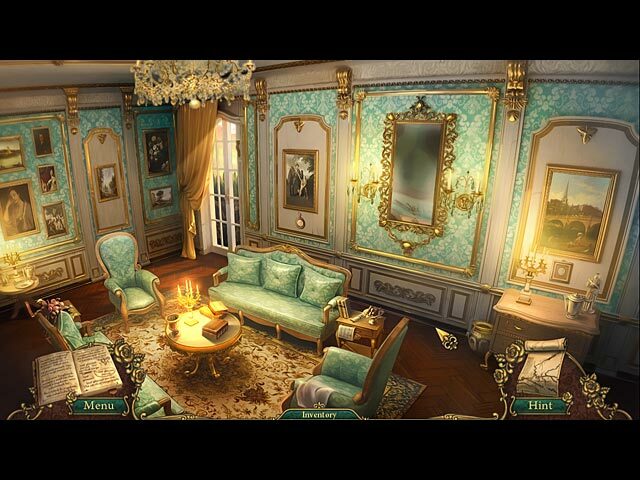 Hidden Object scenes are really good some of them tricky but I like the challenge. Rated 5 out of 5 by charlene_lane from GREAT GAME WITH LOTS OF TWISTS AND TURNS Review of completed game. Excellent game that definitely keeps you busy. There is: * Casual and Challenge modes of play; * Voiceovers (with dialogue); * Journal; * Interactive map. The graphics are stunning and very crisp. There is good colour, especially outside the castle, and very easy on the eye. Sound is very good. The music is exceptional and I turned it up loud the whole way through. Its mostly orchestral - gorgeous music. 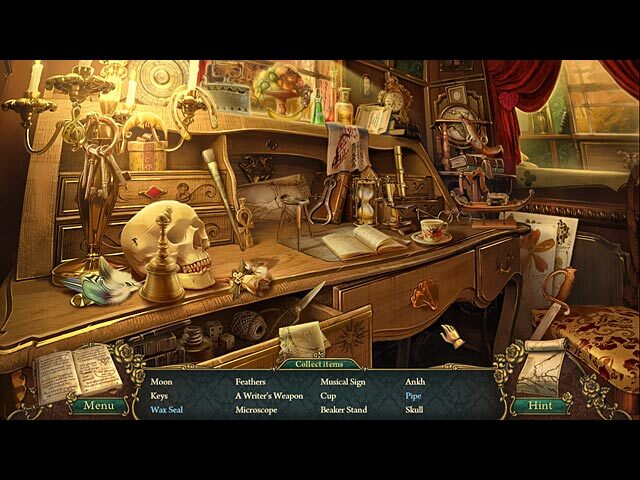 The hidden object games were straightforward and fragmented (find pieces to make it whole). These had a good challenge and I enjoyed doing them. There are a lot of them and mostly you do each scene twice. There were a huge range of mini-games which also had a good challenge to them. Some of them consisted of getting the gears to go, getting gems to the opposite side of each other, moving green and red gems to their right place in 7 moves; rotating disks and colours and so much more. I played them all and loved them. All up the game took me about 8 hours to play. There is a lot to do and you will be travelling around to a lot of locations. However, the interactive map works well if you dislike all the travelling around. As you are moving around and looking for clues and items, make sure you check everywhere at each scene. I moved the cursor slowly around at each scene because if you go too fast and move on, its very easy to overlook something. Because you have to travel to a lot of locations, you don't want to keep going backwards and forwards and then becoming frustrated. I found that moving slowly around and double checking was the best option. 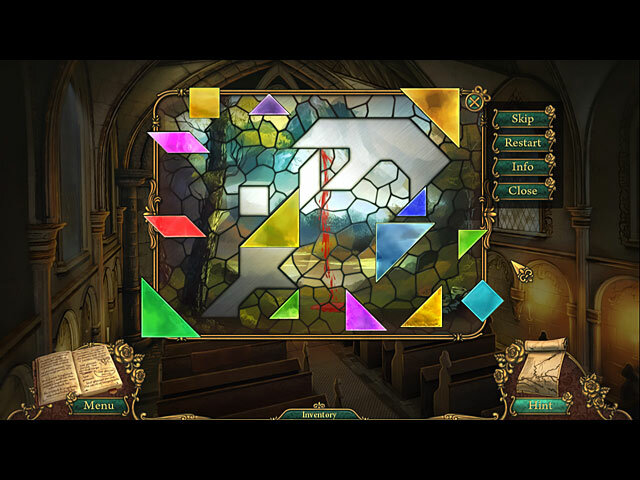 I tried the hint at the end of the game and it took around 30 seconds or so to refill (playing on Challenge mode). So overall a really good game and definitely recommended. Rated 5 out of 5 by braillecode4 from Fairly Twisted Tales: The Price Of A Rose I finally found a game that I really enjoyed. I couldn't wait to get back to it. Even the music made you anxious to hurry. I found no tech issues. Journal was excellent as was the hint button. Only complaint was the map did not show available things to do. But you could transport easily. Romance at its best. Rated 5 out of 5 by nwind from This One Surprised Me! I was a little "iffy" on this one from the descriptions but I enjoyed it completely. Admittedly, I could see the end coming from quite a ways out, but getting there was still thoroughly enjoyable. Some of the HOS scenes were fairly easy, some were very challenging. The same can be said of the mini-games. Good one! Rated 5 out of 5 by deeanddeeann from VERY BEAUTIFUL!!! THE CHARACTERS AND ALL OF IT!!! this game is so very beautiful!! the charecters and eveything!!! the plot is so very good. it really feels like your there. Rated 5 out of 5 by ScarlettAisha from One of the best This is absolutely one of my favorites! Amazing graphics always get me, and these were just breathtaking scenarios. Romantic but also myserious and with a hint of drama. 5 out of 5 for me! Rated 5 out of 5 by LEIZAP from Great Game Fun Game Beautiful Music Nice Sound Effects Terrific Artwork Great Puzzles Helpful Hint & Map System I really liked this Game!!! Rated 5 out of 5 by SnowWhite_527 from LOVE IT!!! When I saw this game I just had to get it! It took a good bit of time to download, but well worth the wait. I just love Beauty & The Beast or anything that like it. I just loved this game!!! The visual effects in the game are wonderful & stunningly beautiful. Once I started to play this game, I had a hard time stopping. I found some of the mini games a little hard to complete, but if you keep at it you'll get them (or you could skip them#. I did find the ending of the game to be rushed, but look forward to playing it over & over again #which I think is a sign of a great game).